What Are Our Picks For The Final Grand Slam Tennis Tournament of the Year? 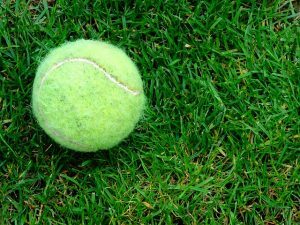 The US Open Tennis Tournament is already underway and in its 138th year, it has already provided fans with some big shocks in the tournament, with seeds tumbling at the first round stage. In this article, we are going to take a brief look at who has been eliminated from the tournament on the first day, before we then look ahead to who stands the best chance of success in the women’s and men’s singles tournaments. It is worth remembering that this is the richest US Open tournament in history with a staggering $53,000,000 in prize money up for grabs, including winner’s cheques of $3,800,000 for the top male and female players. 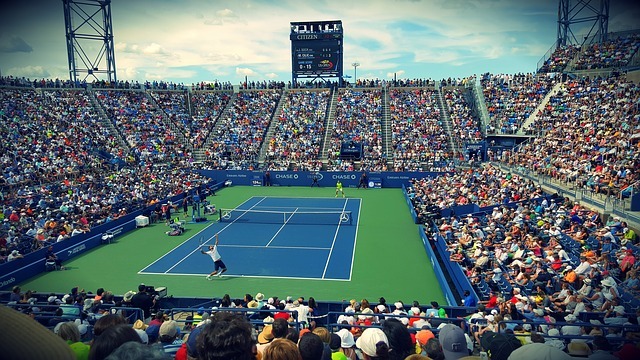 The tournament will take place over the following two weeks, encompassing the American Labor Day weekend and for once, almost all of the top players in the world in both the men’s and women’s game are present to compete, after seeing several Grand Slam events where one or more of the top players have been ruled out due to injury or other fitness-related issues. With Day Two of the tournament due to commence shortly, let’s now take a quick review of how Day One unfolded. The opening day of the 2018 US Open saw an event that has not occurred in any of the other tournaments that have been played since the Open Era began in 1968. The top seed in the women’s draw, Romanian Simona Halep became the first Number 1 player to be eliminated from the tournament at the first round stage. Halep, the French Open champion of 2018, was beaten by Estonian power-hitter Kaia Kanepi and her result was certainly the biggest shock of the day in the women’s draw where only two other seeded players, Magdalena Rybarikova (31) and Anastasia Pavlyuchenkova (27) were eliminated from the draw. Day Two will see a number of other top women players including Carolina Wozniacki of Denmark and Germant’s Angelique Kerber, both of whom are Grand Slam winners in 2018, begin their quest for the title. Seeds also fell at the first hurdle in the men’s draw too with the most notable being Bulgarian Grigor Dimitrov, the number 8 seed, who once again lost in the first round of a Grand Slam to Swiss ace Stanislaw Wawrinka. The Swiss star had also beat Dimitrov in the first round at Wimbledon earlier this year too. Britain’s Kyle Edmund, the number 16 seed, saw himself booking plane tickets home early following his defeat to Italian Paolo Lorenzi, while Roberto Bautista Agut was soundly beaten by the emerging young Australian player Jason Kubler. Andy Murray however did make it through his first round game, dropping a set on his way to a win over Australian James Duckworth. Murray is on course to face third seed Juan Martin del Potro in the third round if his fitness and form can take him through that far. Who Will Win the Women’s Singles at the US Open? With the top seed Halep already eliminated from the tournament, the American challenge to win their home trophy now looks to be stronger than ever. Serena Williams came through her first round game in some style to claim a spot in the second round and she is the favourite with the bookmakers at present. Joint second favourite is another American in last year’s winner Sloane Stephens, who us a 7-1 shot alongside the current Wimbledon Champion and another former US Open winner in Germany’s Angelique Kerber. This trio of players is some way ahead of the rest of the field with the next best selections (including Petra Kvitova) all being rated as 14/1 shots or greater. The women’s draw has been open in the last few Grand Slam events and I think this US Open is still the same. I am sure there will still be plenty of shocks over the next few days and I am certain several more seeds will tumble and perhaps an unseeded player or two will reach the quarterfinals and perhaps even the semifinals. However, it is at this point that I think that the quality of the elite players will begin to tell and while I think Serena Williams is the obvious pick to land the women’s title outright, I feel there is still good value to be had on picking who could face here in the final. If she can navigate a tough first round game, I think Dane Carolina Wozniacki is a great shout at 25/1, especially as an each way bet as you would receive a payout simply if she reaches the final. Who Will Win the Men’s Singles at the US Open? I think in the men’s singles tournament, things are somewhat more clear cut. In fact, I think the winner of this event will come from one of three players and there are no surprises as to who they are; Roger Federer, Rafael Nadal or Novak Djokovic. The bookies also think the same with this trio much shorter than any of the other players remaining in the field. Of the trio, Federer and Djokovic have been drawn in the same half of the draw, so could well meet later in the tournament (likely at the quarterfinal stage) and as such, I think Nadal is the sensible choice here given that it is too close to call that game between the Swiss and Serbian legends. When it comes to an each way bet, you can look further afield, if we assume that Nadal is going to reach the final from the top half of the draw, then you need to find a player in the bottom half of the men’s draw that has the game to trouble either Federer or Djokovic or ideally both. There are not too many players of that calibre around but on a relatively slower hard court the German Alexander Zverev is a decent each way bet.